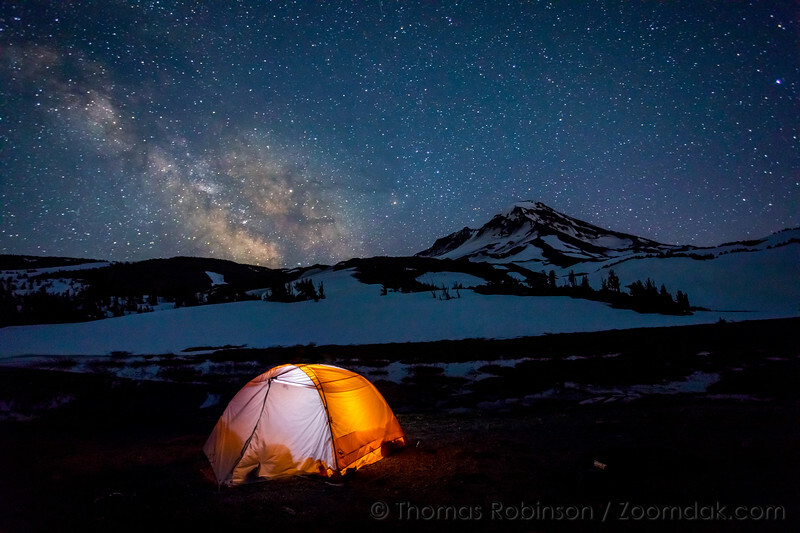 A tent glowing with light under the milky way starlight and South Sister at Camp Lake in Central Oregon. Beautiful. This photo should get as many stars as there are in this photo.